The oldest of the incoming president Rodrigo Duterte has an open letter for the outgoing president Benigno Aquino III. Paolo 'Pulong' Duterte took his official Facebook page and posted his latest message for PNoy. Pulong Duterte said to PNoy, "Remember he is an oligarch," then followed, "He and his kin ran this country like it's theirs at the expense of the marginalized and the poor." "They ran it like dictators in the shadows of democracy," he added. According to Vice Mayor-elect Pulong Duterte, the outgoing president give warning to all Filipinos that there's a threat of dictatorship on the incoming administration. He said, "PNoy warns Filipinos of the looming dictatorship of the incoming administration saying that the Philippines does not deserve another strongman to lead the country." Pulong asked his readers if there's really a dictatorship in Duterte's administration. He told, "YES"
But he explained it and said, "A dictatorship by the people, the ordinary Filipinos. The oppressed. We will seize this country back from the oligarchs, the powerful few. It is time. It is our time." Do you agree with Vice Mayor Paolo 'Pulong' Duterte? Please cast your thoughts on the comment box below. 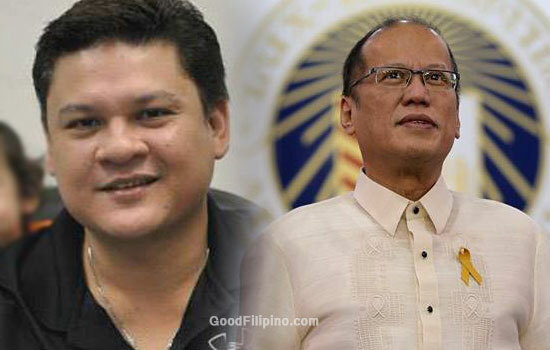 Comments or suggestions about "Paolo Duterte to PNoy: 'They ran it like Dictators in the shadows of Democracy'" is important to us, you may share it by using the comment box below.